Valencia’s artsy Ruzafa neighbourhood is known for its creative, cutting-edge and international vibe, so unsurprisingly the restaurants here reflect that. It’s one of the best places in town to eat out, especially if you love modern, experimental and fusion cooking. There are so many restaurants in this area that it can be hard to choose, so we’ve selected a few of the very best. More than a restaurant, this is an exciting yet affordable dining experience. The classy interior will transport you to a New York bistro, while the international fusion menu will take you all around the world. We recommend ordering a few smaller plates, tapas style, to try as many flavour combinations as possible. 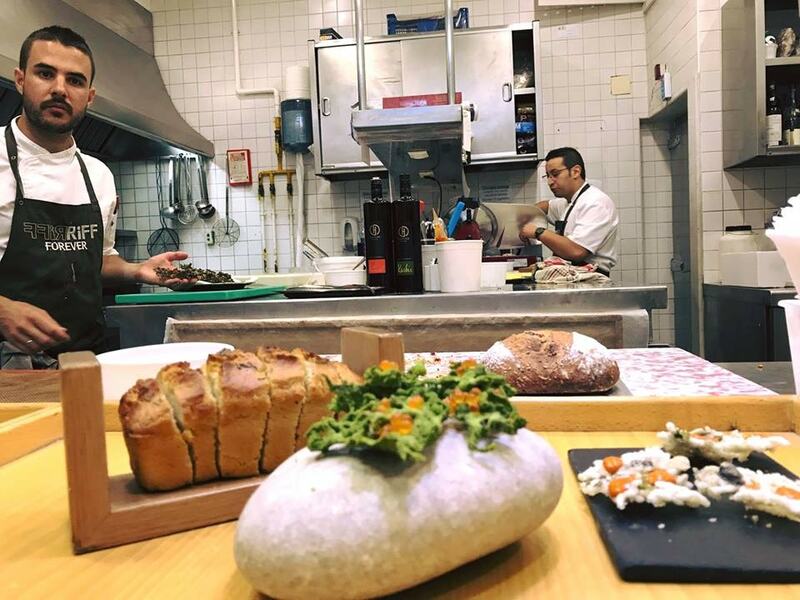 It’s the creation of local chef Ricard Camarena, who also runs a Michelin-starred restaurant in Valencia and the excellent cafe inside the Central Market. It’s loved by locals and very friendly to English-speaking visitors, too. This avant-garde restaurant uses the freshest seasonal produce to create mouthwatering Mediterranean and Italian dishes like Involtini di anatra: duck rolls with candied pear and gorgonzola cream wrapped in filo pastry on an onion crumble. Or try the Amalfitano, an irresistible plate of smoked aubergine and creamy buffalo mozzarella on a tangy, fresh tomato sauce. Their pizza and pasta dishes are impressive, too. Staff are happy to recommend a pairing from their extensive list of wines and vermouth. The restaurant owners have now opened several other locations around Valencia, too. Serious foodies will want to splash out at Riff, a small and exclusive Michelin-starred restaurant. Quality and creativity are everything here, and chef Bernd Knöller aims to surprise and delight with his flavourful fusions. Dishes include grilled sweet potato with seaweed, cottage cheese and sea urchin, or Norwegian lobster with orange and almond, while the wine cellar could more aptly be described as a treasure chest. Book well ahead. If you want to try something a bit more traditional, Ruzafa excels on that front too. 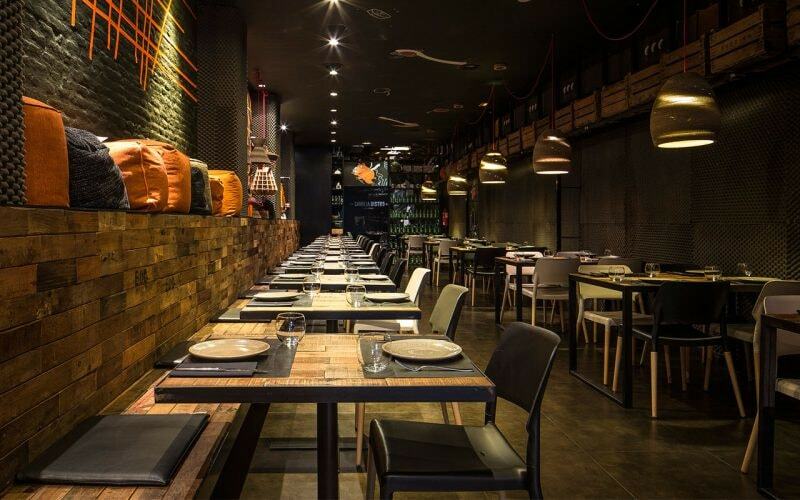 The most notable place to try authentic, classic Spanish cuisine, Asador de Aranda, resembles the dining room of old Spanish kings and is located near Valencia’s bullring. 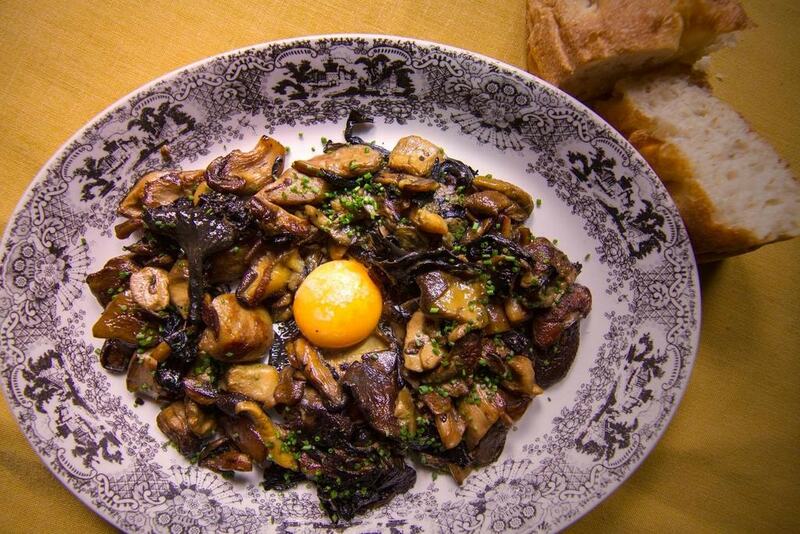 Enjoy a blow-out meal of morcilla de burgos and suckling pig cooking in a wood-fired oven, accompanied by wines from any of the best winemaking regions in the country. This large restaurant is perfect for groups and special occasions, and the kitchen maintains its high standards no matter how busy it gets. If you prefer a laid-back little eatery with traditional, inexpensive Mediterranean cuisine, just two doors down from the previous restaurant on our list you’ll find the popular La Mary. Fresh fish and meats are a specialty, such as the tuna belly or duck breast with mashed pumpkin, mango and port, and there’s usually an intriguing special or two. Not to be missed. This famous Ruzafa restaurant combines local and international traditions, promising to take you ‘around the world in five tapas’ with its cosmopolitan menu. You can try everything from wakame and cucumber salad to red curry prawns or some mini Angus beefburgers, or keep it local with some croquetas and patatas bravas. While it’s tempting to try one of everything, you’ll need to leave room for one of their amazing cheese boards. The prices and quality are hard to beat. If you like cosmopolitan-style vegan food and Scandinavian design you’ll be in heaven at the stylish Copenhagen restaurant. Their varied menu brings you flavours from around the world, as does the excellent value lunch menu. Staff are very friendly and the kitchen caters for all dietary needs, including coeliacs.